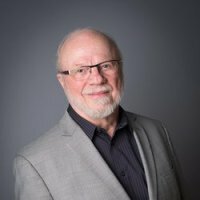 KRW International co-founder and principal, Fred Kiel, brings years of experience in leadership consulting from Fortune 500 companies and large, privately held organizations. He has advised individuals who have become CEOs of complex businesses, most with multi-billion-dollar top lines. Fred understands that business success starts in the heads and hearts of leadership—creating an enthusiastic, creative, retained talent pool. Helping CEOs gain alignment of their vision all the way to the front-line worker can create immediate bottom-line results. 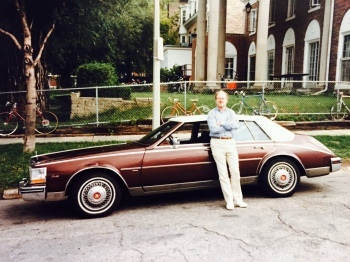 Prior to focusing on business advising, Fred founded a successful private practice in Minneapolis which became the major employer of professionals in that market. His interest in business advising eventually won out, and a bit over two decades ago, he sold his practice and co-founded KRW International. Fred has served on the boards of several philanthropic organizations, including Augsburg College Youth and Family Institute, Graywolf Press, Walk-In Counseling Center, and the Lyra Concert. He currently serves on the board of the Eagle Bluff Environmental Learning Center. He also served on the adjunct staff of the Center for Creative Leadership for nearly ten years and served two terms on the Board of Psychology for the state of Minnesota. He earned a B.A. in psychology and a Ph.D. in counseling psychology from the University of Minnesota. His latest book, Return on Character: The Real Reason Leaders and Their Companies Win, summarizes seven years of research on the connection between the character of the CEO and return on assets. It was published by Harvard Business Review Press (April 2015). Morris: Before discussing Return on Character, a few general questions. First, who has had the greatest influence on your personal growth? How so? Kiel: My wife and life partner, Sandy. We met when I was thirty-nine and that began the most significant period of personal growth in my life. We joke that although I’m quite a bit older than she is chronologically – emotionally she was much older and more mature! Kiel: The turning point for me (actually it was an epiphany) came when I was in my mid-forties. At that time, I was the CEO of a public company. My private practice in psychology had grown to multiple offices and I had the vision of rolling out behavioral health clinics across the country by contracting with managed care companies. I launched an IPO and raised a million dollars. The first thing I did was rent a somewhat lavish headquarters office complete with top of the line furniture for my office. This should have been a big hint of what was to come! I was a big-shot. I drove a red Cadillac and wore a diamond ring on my right hand. And, my car had a telephone! Not too many cars had telephones in the 1980’s. After a few months, I began to sense that not everything was going well. In my personal life, my wife told me that even when I was at home, emotionally I wasn’t really there. I was thinking about work. She later told me that she felt trapped – she didn’t see divorce as an option, yet she was lonely and carrying the whole parenting load by herself. One of my friends sensed that I needed help. He suggested I go to a weekend spiritual retreat for men. I reluctantly agreed to go. The first morning, the leader asked everyone to rate the order of priority in their lives for these three – God, your family, and your career. Well, I had recently started going to church so I ranked God as number one, my family as number two and my career as number three. Then he said, “Now take out your calendar and your check book – I want you to see if how you spend your time and your money matches that rank order. Of course, he “got” me. I was spending almost all of my time and money on my career. My wife and kids got maybe 5% of me and God got what was left over – maybe a half percent. My career was my identity – it was my total focus. My house of cards was getting pretty shaky. After about a year as CEO of this public company and flying all over trying to make my business plan work, it became clear that we were undercapitalized and the company needed to change course. So I went to my board and told them that I thought we should revise our strategy. I was confident we could get back into a profitable situation in a few months. And then I said, “Once I’ve achieved that, I’d like to have us think about finding my successor – I’m getting burned out.” A week later the Chairman came to my office, sat down and said, “The board talked it over and we’d like you to leave now. We already have your successor!” So, I was fired from the company I had founded! You can imagine that this was quite a wake-up call for me. Up until that time, I had experienced continuous success at whatever I did. Over the next few months, I engaged in a lot of self-reflection and soul searching. I slowly realized that I had become very much like the self-focused CEOs in our research. 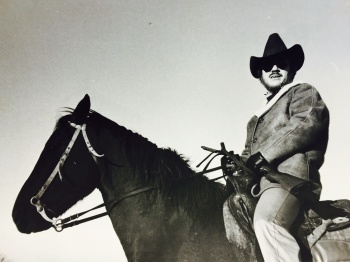 I realized that I had become that kind of a guy – a guy with a big hat and no cattle. At some point, I realized I didn’t want to be that kind of a guy. I wanted to get rid of the big hat and find some cattle! Actually, I wanted to find my self – the person I was when growing up was not the self-focused person I had become. When I was young I honored the principles my parents lived. You see, they almost always told the truth, owned up to their mistakes, showed forgiveness and clearly cared for people as people – not objects. They weren’t perfect, but all in all, I was dealt a good hand when I was born to them. Luckily, I came to a point where I abandoned the trappings – I got rid of the Cadillac, the big hat, and the diamond ring. And I repurposed my life. I rewired my brain! I ditched the self-focused habits and concentrated on becoming the person I wanted to be. With the help of many lengthy discussions with close friends and my wife, I found that I was able to connect my head to my heart. And it was during this time that I decided that what I was good at and felt passionate about was helping other people like me to transform their lives – to connect their heads to their hearts. So, I set it as my purpose to do that – to help leaders of large organizations connect their heads to their hearts. That has been my focus for over 25 years. Everyone’s journey is unique. There are however, some tried and true ways to go about changing one’s character habits. As I said earlier, the first step is find out how others experience you – to pop the bubble you live in. I devote a whole chapter in my book to personal change – and provide a road map for changing your character habits. You can download that white paper and other resources by clicking here. Kiel: I think all of us are at risk for sticking with just one “winning formula.” This is true for many C-level executives I’ve known. At an earlier stage of their career, the achieved great success through their own personal accomplishments – not by working with others. When one sticks with this “winning formula” you never learn how to work through others. Being an individual contributor is a totally different job from leading others. And then if this pattern is combined with some negative beliefs acquired at an earlier stage in life about human nature (such as “most people are out for themselves; one cannot trust another person until they’ve proven that they are trustworthy,” etc.) then one is more apt to mistrust others and find it difficult to delegate. Kiel: People are wired to remember information in the context of a story. Great leaders know this and capitalize on this basic bit of human nature. By telling a story also allows other people to connect with you at an emotional level. By definition, stories communicate emotion and this is how we connect with other people – via our emotions. Kiel: I recently studied the curricula offered by the top business schools as listed on their web sites and it confirmed my assumption that business schools focus on teaching business skills and ignore the other half of the “Who + What” equation. 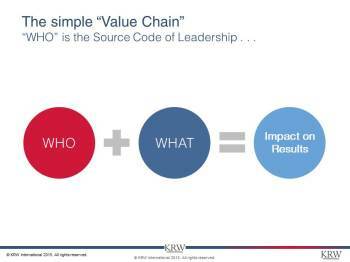 Through our research we’ve discovered that character (The “Who” part of the equation) is more important to the creation of value than is the skills of a leader. 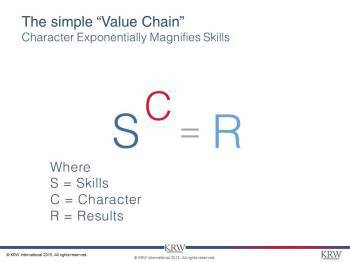 Character serves as a multiplier – character magnifies the impact of a leader’s skills. I look forward to the day when business schools establish a baseline assessment of the character of all in-coming students and devote a major part of the core curricula to helping students develop into “Virtuoso” people by the time they graduate, as this is clearly the biggest factor is the creation of value. And this is the “business” of business schools – to arm their students with both the character and skills needed to create value. Kiel: It may be sooner than 3-5 years as the transparency of our world continues to grow. Increasingly I believe it will be hard to disguise and protect the low character leaders and teams in publicly held companies. Boards will become under more and more pressure to assess for character and to evaluate the character of the entire senior leadership bench. So – insisting that each of the senior officers of a company are individuals of strong character and establishing this as the cornerstone of the company culture will be the biggest challenge. Many CEOs state the importance of culture today but few have a clear understanding that a strong, value-based culture, is a reflection of the strength of the character of the entire senior management team. Morris: Now please shift your attention to Return on Character. When and why did you decide to write it? Kiel: I decided to do this research shortly after my first book was published in 2005. While we received many positive reviews, the one that stuck in my head was the one who challenged my co-author and me. Basically, the challenge was “Where’s your data?” We claimed in Moral Intelligence” that leaders who demonstrate four universal moral principles – Integrity, Responsibility, Forgiveness, and Compassion – will achieve better bottom-line results than those leaders who do not consistently demonstrate these principles. The reviewer was right – we did not have any hard data to support our claim. So I decided to find out who was correct – this reviewer or my co-author, Doug Lennick, and me. Morris: Were there any head-snapping revelations while writing it? Please explain. Kiel: The biggest “head-snapping” revelation is the sheer strength of the relationship between bottom-line results and character. I expected a positive result but did not expect to find nearly a 5X difference between strong character leaders and the weak character leaders. Morris: What are the defining characteristics of a Virtuoso leader? Kiel: Virtuoso leaders and teams are all described by random samples of employees as “almost always” behaving in ways that demonstrate the four universal moral principles — Integrity, Responsibility, Forgiveness, and Compassion. They “almost always” tell the truth, keep their promises, own up to their own mistakes, react to other’s mistakes with curiosity vs. blame, and treat people as people – not as objects to be used. Morris: In your opinion, why do so many toxic executives ascend to the C-suite? Kiel: I believe this happens because a bad idea still seems to be widely embraced in the business world. The “bad idea” is this: “The ideal leader is one who is obsessed with bringing bottom-line results. If this means that he/she is occasionally a “little rough” on people – that’s okay as long as it does not result in lawsuits.” The assumption that goes along with this is that having a “nice” culture – one that treats people respectfully – is “nice to have” but not really necessary. It’s icing on the cake, so to speak. And this gets reinforced when such leaders do indeed, bring good bottom-line results. They are able to do this because of having a good business model and perhaps have weak competitors, and might be “first to market” with a new product or service. We claim that their financial results could be even better if they honored all four of the universal moral principles — Integrity, Responsibility, Forgiveness, and Compassion. Imagine them as a sleek, highly competitive sail boat – one of the best in design, hull shape, etc., but is dragging a few small anchors (weak character habits.) They’d be able to sail even faster if they hauled in the anchors. Morris: Of all the great leaders throughout history, which – in your opinion – best exemplifies the values you affirm in the book? Please explain. Kiel: Nelson Mandela. Abraham Lincoln. More recently, and from the business world, I’d nominate Jim Sinegal – recently retired CEO of Costco Wholesale. Fred cordially invites you to check out the resources here.